Shiru, 22 stands with her mother in the pre-op ward. One day when Shiru was 15, she returned home from school and began to cook. She was alone at the time. 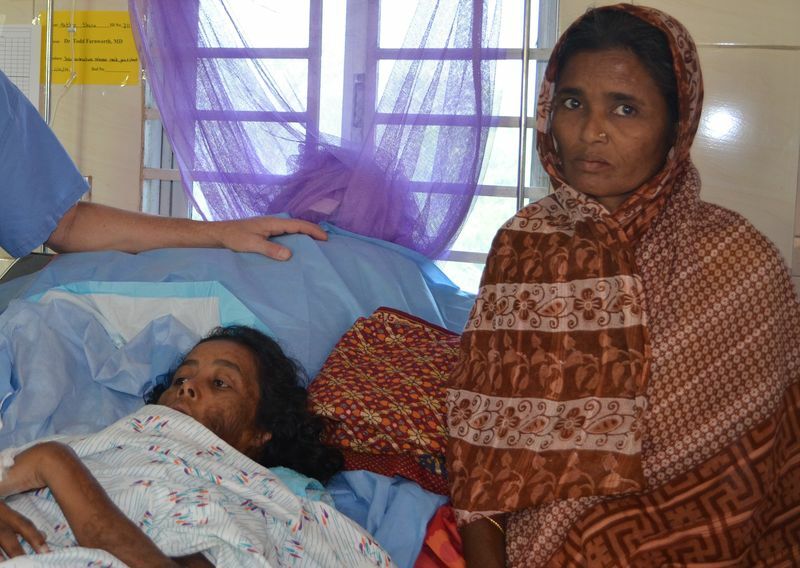 In seconds, kerosene exploded in front of her and caught fire to her chest, neck and face. It’s amazing she survived. When help arrived, she was taken to the hospital. The burn care she received was little more than ointment and bandages. It’s difficult to comprehend the pain and suffering Shiru has endured since the fire. 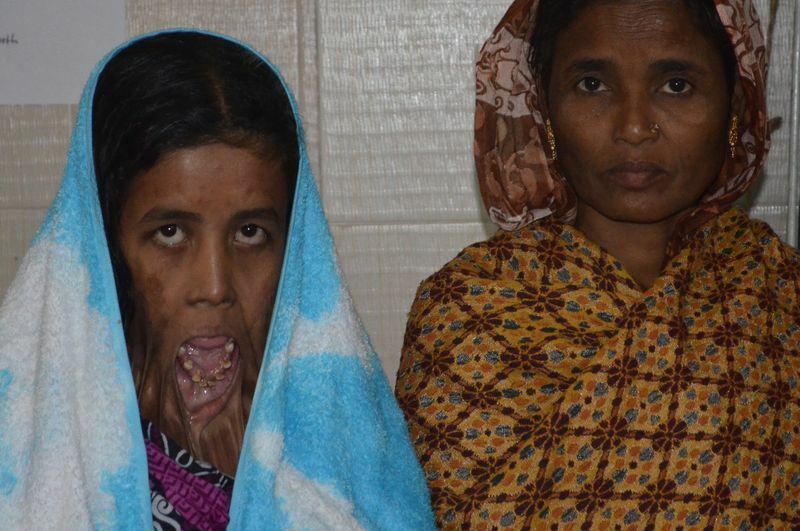 She suffers from scar contractures all along her chest, neck and jaw. The contractures are so severe that her mouth and jaw have remained open for seven years. Shiru came to Rotaplast in Chittigong last year on the last day of surgery. At that time Rotaplast had no time left to help her. However, we promised to help her the next time we were in Chittigong. We were happy to see Shiru here. Rotaplast surgeons were successful in releasing the scar contractures to her neck, jaw and face. This will allow movement in her jaw. Today, for the first time in seven years, Shiru closed her mouth. Seeing your child for the first time after any procedure can be a difficult emotional experience. 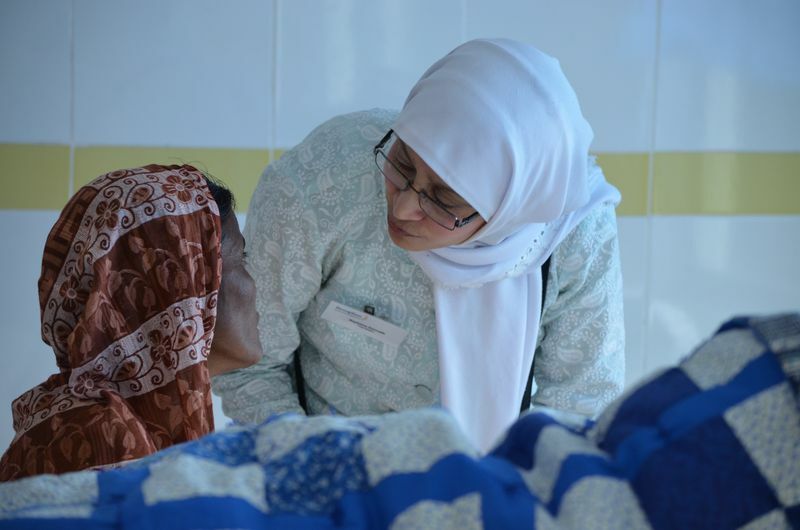 Here, Rotaplast interpreter Rayhana gently talks with Shiru's mother to alleviate some of her concerns. Shiru rests in the post-op ward with her mother by her side. Shiru will require additional surgery. 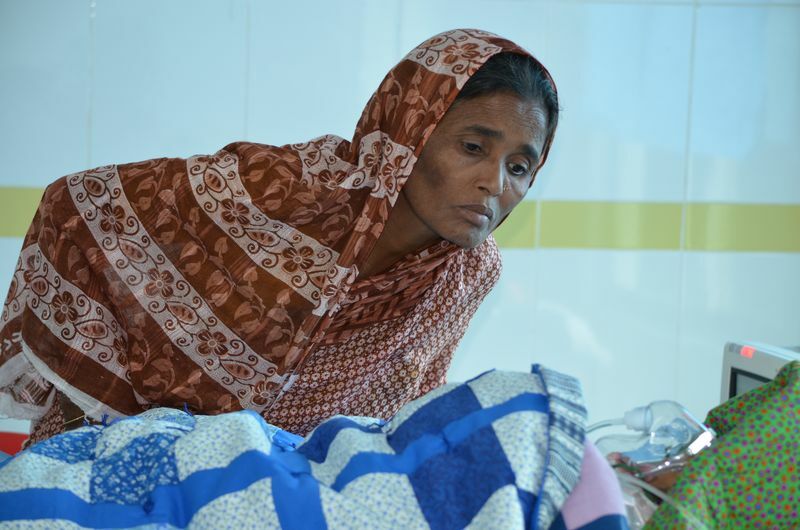 With hope, Rotaplast will see her again during our next visit to Chittagong.